Impeachment? How do we fight this constant attack on President Trump? With our president being besieged by Democrats day and night, I hear no defense coming from the right side of the congressional aisle, which I consider shameful. I hope every one of you silent traitors is serving your last term! If your silence continues, I will donate whatever I can to your primary challenger. How hard is it to find a microphone and vocally defend your President and party leader? You are helping the Democrats take both chambers in 2018. 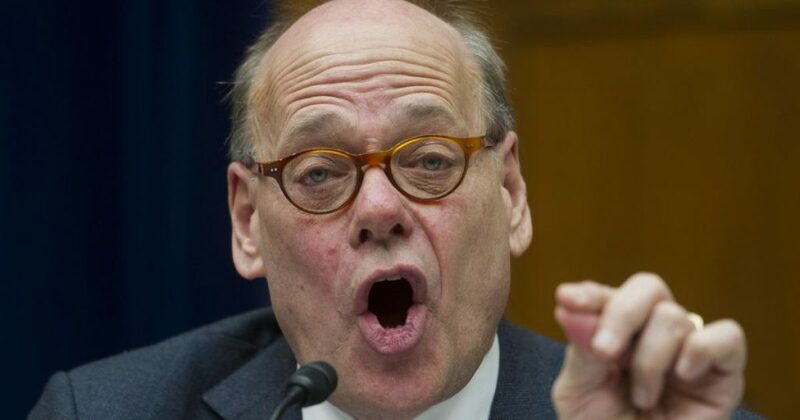 Rep. Steve Cohen of Tennessee announced Thursday he is introducing articles of impeachment against President Trump following the violence in Virginia, according to The Washington Times. Mr. Cohen, a Democrat, said Mr. Trump failed the “presidential test of moral leadership” in the wake of the bloody clashes between white nationalist groups and rival protesters in Charlottesville. “I have expressed great concerns about President Trump’s ability to lead our country in the Resolution of No Confidence (H.Res. 456) that I introduced in July with 29 of my colleagues; however, after the President’s comments on Saturday, August 12 and again on Tuesday, August 15 in response to the horrific events in Charlottesville, I believe the President should be impeached and removed from office,” Mr. Cohen said in a release. Mr. Trump initially said there were “many sides” to blame for the clashes. One man man allegedly ramming a car into a crowd of counter protesters, killing a woman and injuring 19 others. Mr. Trump later took direct aim at the white nationalists groups and said racism is evil, but soon returned to his original argument that violent “alt-left” groups were also to blame for the chaos. Democrats and Republicans have said there is no moral equivalence between white supremacists and their opponents.